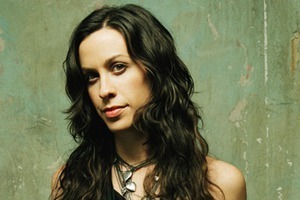 Since the mid-nineties, Alanis Morissette’s music has woven itself into the fabric of our musical culture. Though her start in the industry was a little…hot and cold, she finally broke onto the scene in June of 1995 with the release of her hit album, Jagged Little Pill, and has been entertaining us in that fluctuating vein ever since. Last night I saw Alanis live, for the first time. I attended the Montreal stop of her latest tour at Metropolis and she rocked through two hours of hits from her previous albums, mixed with several songs from her newly released record, Havoc and Bright Lights. Standing in the crowd of an excited spectrum of fans spanning the screaming 20 something’s to the yawning 40 year olds (reality bites the best of us), it was clear they were all anxious to see her. It was great to finally hear these songs live, some of which I’ve been listening to for over 15 years, but the concert itself left me with a few questions to ponder. Let’s start with the opening act. I’m not much of a rap fan, so when I walked in and saw this blandly dressed man lumbering around on stage, rapping and beat boxing, I questioned if I had walked into the wrong venue. As it turned out; I was in the right place. Her opening act was Mario “Souleye” Treadway, a rap artist from Boston, also known as her husband. They married in 2010, had a baby and now, apparently share a stage. He seemed a little uncomfortable before the crowd. His movement was rigid and nervous and whatever it was he was selling, I found it difficult to buy. I tried to listen to him, but his rap came off a little phony. Alanis did however join him at the end of his set to sing her new song, Jekyll and Hyde, which was pretty well done. After some time, once the stage was set, Alanis came back to roars from the crowd and kept the show going, non-stop, for about two hours. She has matured beautifully as an artist and, despite detecting a subtle hint of shyness every now and then, it’s clear that she is in her element when on stage. Her voice is as powerful as ever and she didn’t miss a beat vocally. She sang her way through many of her older songs such as You Learn, Head over Feet, and Ironic seemingly without even having to think about it, which is where I felt a bit of a disconnect. Though she sang each song perfectly, she seemed not as emotionally connected to some of her earlier work as she did when she sang some of her more recently released music. With the exception of great performances of songs like So Pure and a very lively Uninvited, she seemed absent when going back to some of her past work such as the aforementioned tunes from Jagged Little Pill. Songs like Guardian were moving and sung with more conviction. I wondered as I walked home after the concert what it must feel like for a singer to revisit songs that came from a place of pain, or even happiness, and have to repeatedly sing them for their fans, despite having moved on from that place. Maybe it’s a music business Catch 22? Like everyone else, an artist matures and changes with time but they build a fan base throughout their career that still wants to hear those songs they, themselves grew up listening to. To convey the emotional sense of these songs, sometimes it needs to come from the joy, hurt, happiness or pain that inspired it, not just from memory. Overall, it was a good show and I had a great time hearing her play some of my favorite songs. 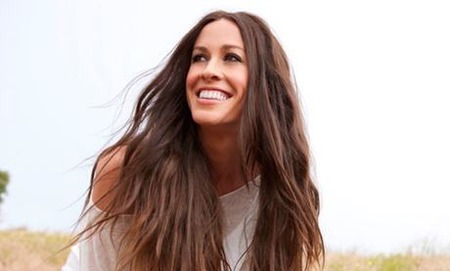 But, like anything that came before 1995, which seems will forever remain under rug swept, maybe it’s time for Alanis to put away the mid-nineties for a while and focus on what influences her now. That would be brave.